Posted by CNC Reporter on Jul 2nd, 2015. 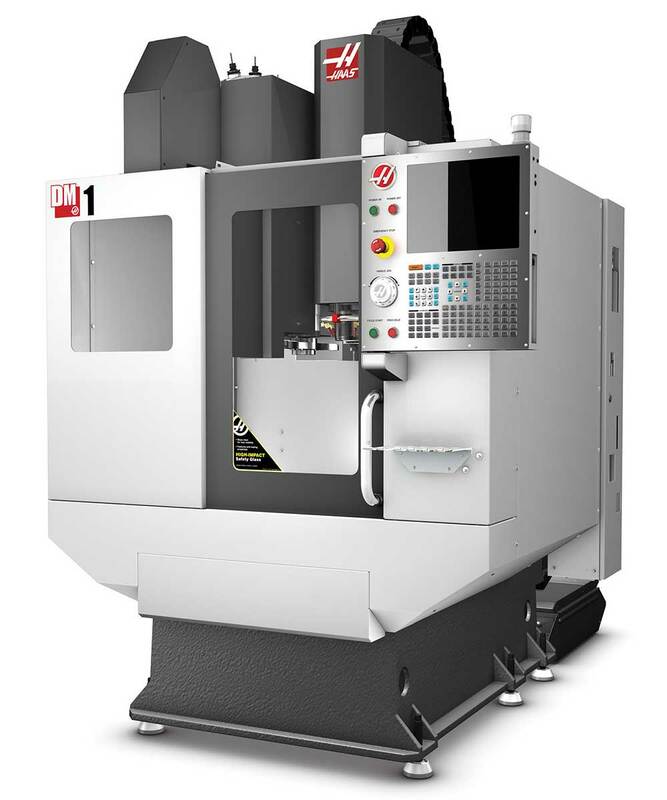 The Haas DT-1 launched several years ago with impressive numbers and speeds so fast, anchoring the machine to the floor was mandatory. 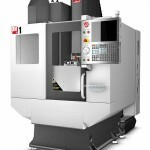 Haas is at it again with their newest offering – The DM-1. The DM-1 shares nearly identical specs as it’s predecessor with the much welcomed use of 40 taper tool holders. It has a 20″ x 16″ x 15.5″ work cube and a 26″ x 15″ T-slot table, a direct-drive15,000 rpm spindle, high-speed rigid tapping and 46 ft-lb (peak) of cutting torque for milling and boring operations. The DM-1 provides cutting feedrates to 1200 ipm for high-speed milling and the machine’s 18+1 side-mount tool changer swaps tools in a scary fast 1.8 seconds, chip to chip. High-speed 2400 ipm rapids combine with high acceleration rates to shorten cycle times and increase throughput… again, anchoring to the slab is a must. With a starting price of $64,995 USD, the speed of these machines are built for quick ROI’s. Visit haascnc.com for more details.